Headed to Long Beach? From tie-dye milkshakes to equally-colorful sunsets, you don’t want to miss out on what makes us the best beach on Long Island. Here are five things to do during your stay. It’s hard to believe that such pristine views are less than an hour’s ride from Penn Station. Two miles of well-maintained boardwalk can be enjoyed with a quiet stroll or bicycle cruise any time of day. For bike rental, check out your bike share options with Social Bicycles on their website. 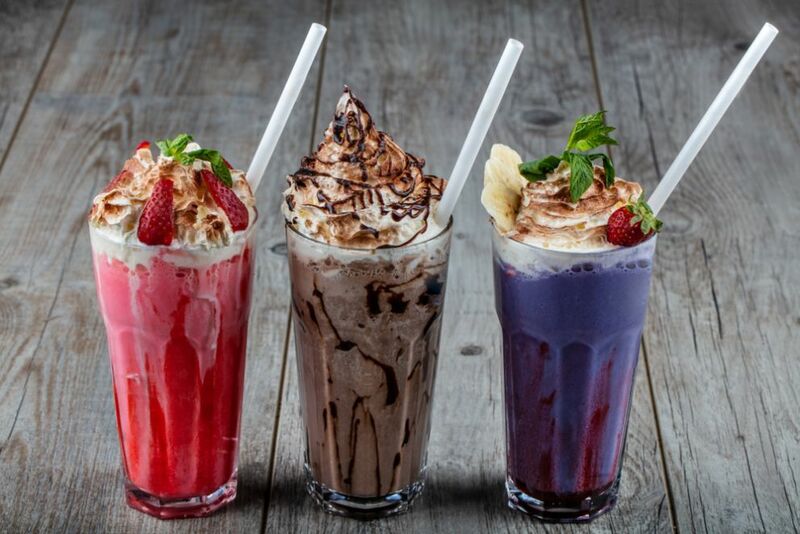 In case you didn’t know, the milkshake craze on Long Island is something serious, and Long Beach is no exception. Splurge on a colorful milkshake that’s almost too pretty to eat this summer to beat the heat with sweet. Diner by the Sea at 260 E. Park Ave. has quite the list of options, from Cap’n Crunch concoctions to fluffernutter fusions. Also in on the act is Brixx & Barley, which is known to include entire cannolis into the mix. Brixx & Barley can be found at 152 W. Park Ave.
You don’t have to be a seasoned veteran to surf in Long Beach. Plus, a surfing pass is included in your stay at Allegria Hotel. We can arrange surfing lessons from one of the East Coast’s most acclaimed schools, Skudin Surf. The surf school tent is located right on our beachfront where you can sign up for private and semi-private lessons, as well as group classes on the weekends. Wake up with views of the Atlantic Ocean during your stay in Long Beach. Amenities at Allegria Hotel include seasonal rooftop pool access, a daily breakfast buffet for two, and much more. Read about our Premium Oceanfront Rooms here. Sunset in Long Beach a restorative sight to behold, especially if you live in the city. Watch the sun’s descent from the beach, boardwalk, a chartered boat or our onsite restaurant Atlantica to mark the day’s end. Afterward, set out to downtown for live music and libations. Read our Long Beach nightlife guide for tips on where to go and what to do. Summer is just around the corner, and it’s the busiest season in Long Beach. Book ahead at Allegria Hotel to get a spot right on the beach, overlooking the Atlantic Ocean. See special offers, only available on our website.